Scott's Journey: this page - preparations | page 2 - the polar journey | time-line and info graphic | crew of the Terra Nova | why did Scott die? Ponies hauling sledges, while ponies were of some use for depot laying, they would sink too far into soft snow, so like the motor sledges were soon abandoned for travel purposes. The "Tenaments" members of the expedition with the only "private" space they had in their bunk beds. Note all the clothes and equipment hanging from the ceiling to thaw out and dry. All of the cold weather clothing the expeditioners had would soak up sweat during heavy exertions (and manhauling is certainly a heavy exertion!) which would then freeze within the clothing. 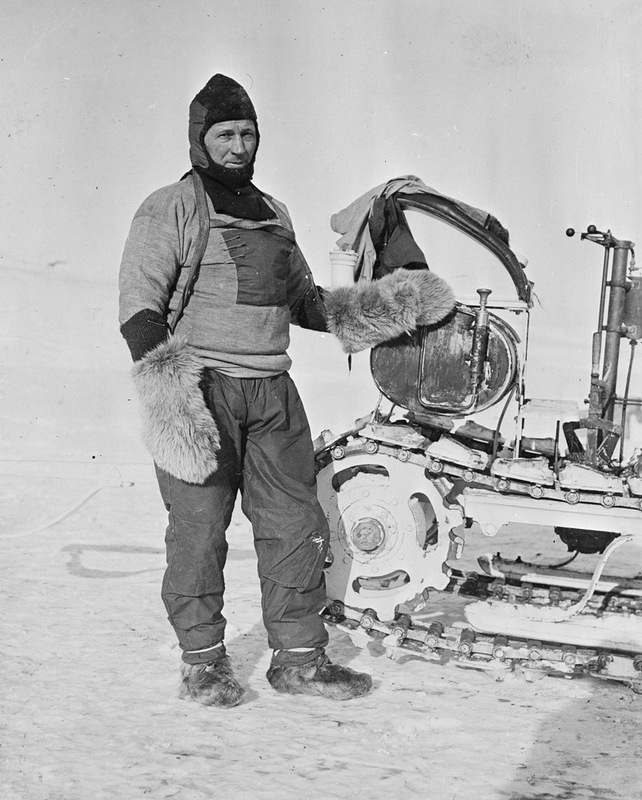 William Lashley, the chief stoker with one of the motor sleds. These began promisingly (apart from the largest one which was lost when it broke through the ice while being pulled ashore) but were soon abandoned as being far too unreliable, at the time they were cutting edge technology. Left to right, Bowers, Henry Robertson, 1883-1912. Wilson, Edward A. (Edward Adrian), 1872-1912. Cherry-Garrard, Apsley, 1886-1959. This journey was what Cherry-Garrard would later write about in his book "The Worst Journey in the World". 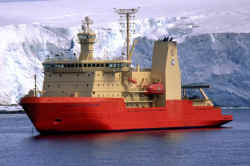 Scott wanted to use the Discovery again for this second expedition, but the admiralty had sold it to the Hudson's Bay Company some years before, and they refused to sell her back. 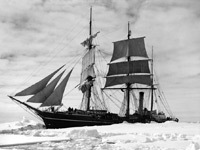 After considering several others, Scott purchased the Terra Nova, which had been used for whaling and sealing since her return from the Discovery expedition. Raising money for the expedition was a slow and difficult task, volunteer crew by contrast were applying from all over the world. More than 8,000 men volunteered to join the expedition. 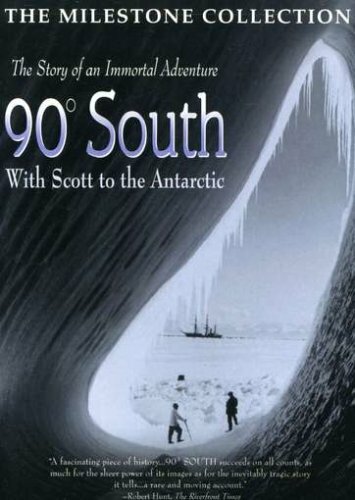 One man who didn't go, though Scott wanted him was a young lecturer from the University of Adelaide, Douglas Mawson. 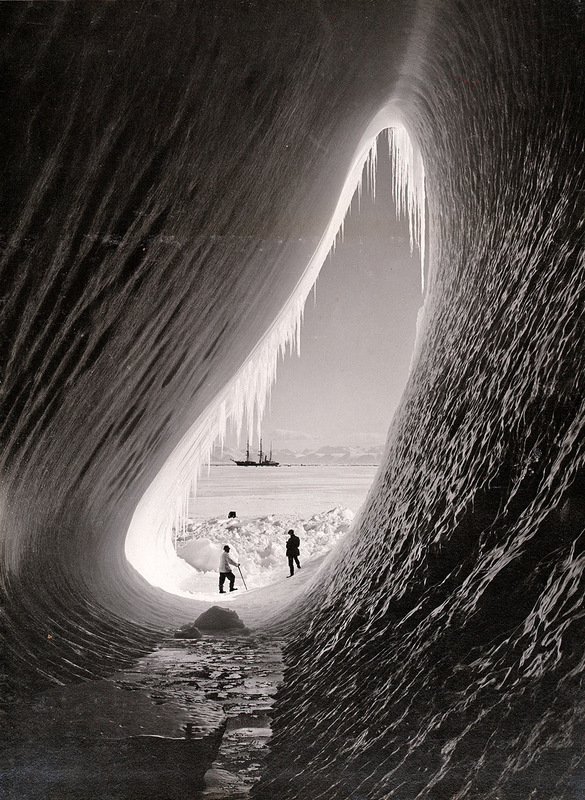 Mawson was making his own plans, like many others, he intended to explore an unmapped stretch of coast and country west of Victoria Land. 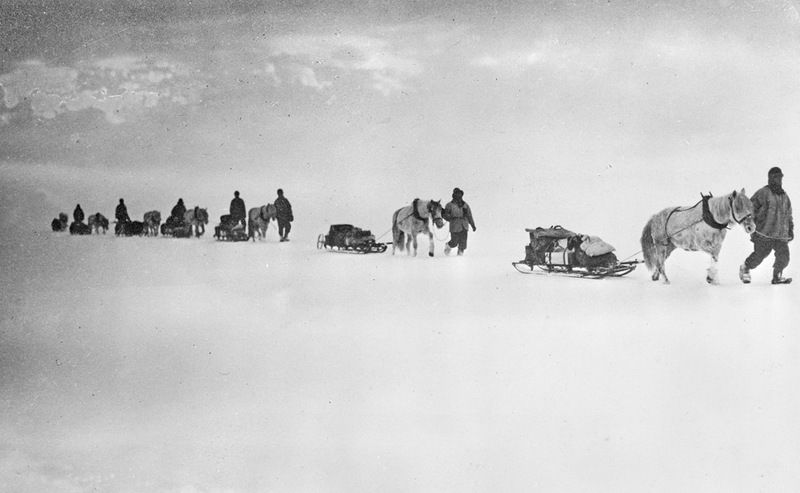 The choices for land transportation made by Scott were to have profound effects on the final results of the expedition. He didn't take dogs, perhaps influenced by his experiences on the Discovery expedition. Instead he had motor sledges which were experimental, since none had ever been used before, (motor transport technology was still in its infancy in 1910), and ponies. Ponies had been used before by Shackleton, but not successfully. Scott planned to use the motor sledges as far as possible, establishing depots along the way. The ponies would then take over and haul the sledges to the foot of a glacier, the next major obstacle, when the south pole party would begin to manhaul their sledges. 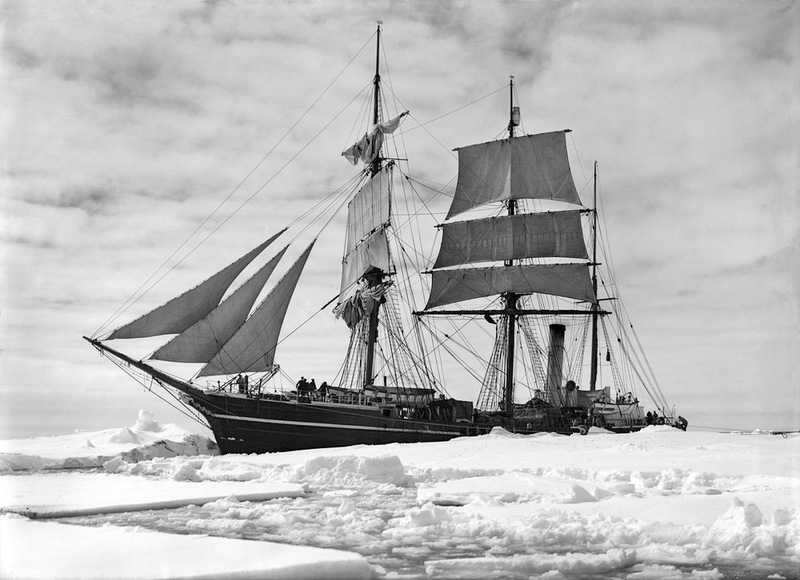 The journey to Antarctica on the Terra Nova was eventful and losses of ponies, a dog, coal and other stores occurred during a storm. On December 8th 1910 the first iceberg was spotted and on the following day, in latitude 65°8'S, the Terra Nova entered the pack ice. 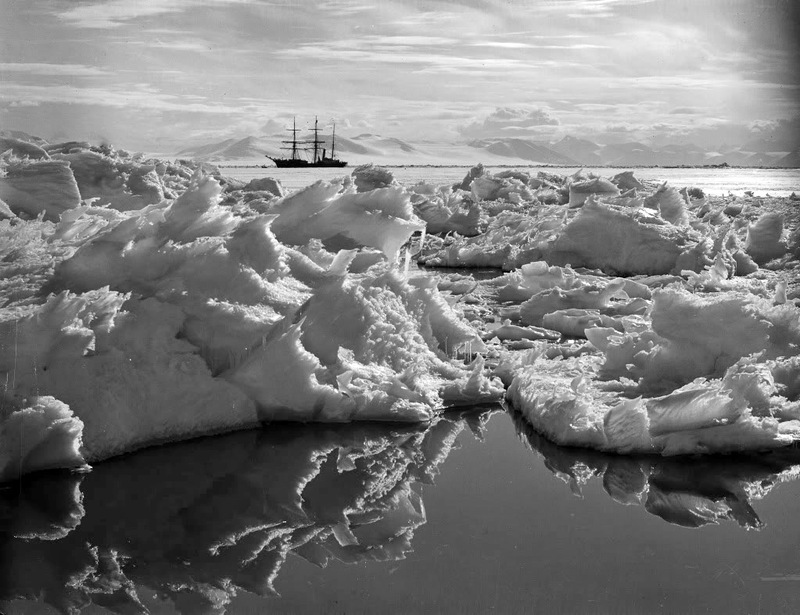 The ship continued to encounter heavy pack ice for the next three weeks, consuming a great deal of precious coal in the process. It is thought by many that had Scott taken a dog team and men trained properly in driving a dog team, he would have had a much easier time of it getting to the pole and back. Scott wrote: "In my mind no journey ever made with dogs can approach the height of that fine conception which is realised when a party of men go forth to face hardships, dangers, and difficulties with their own unaided efforts, and by days and weeks of hard physical labour succeed in solving some problem of the great unknown. Surely in this case the conquest is more nobly and splendidly won". On December 30th Scott wrote, "We are out of the pack at length and at last one breathes again". On New Year's Day, 1911, Mount Erebus came into view. They attempted to land at Cape Crozier, where they had planned on setting up winter quarters, but the seas were too rough. So, McMurdo Sound was their next option. On January 4th 1911, the Terra Nova anchored to the ice and the unloading began. The ponies were especially happy to finally be on firm ground as they rolled and kicked in the snow. 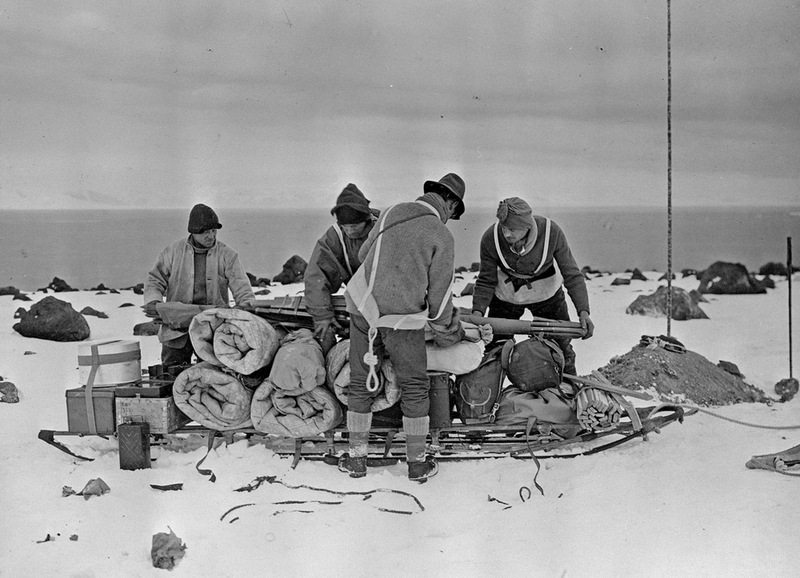 The motor sledges began well, they were unloaded and immediately put to work hauling stores to the new camp. The third and largest sledge however broke through the ice to the sea and sank in sixty fathoms of water as it was being hauled by twenty men towards the shore. The hut was erected quickly, it measured fifty feet by twenty-five and was nine feet to the eaves. It was insulated with quilted seaweed, lined with matchboard, lit by acetylene gas, provided with a stove and cooking range and divided into two by a partition made of crates (including the wine) to separate the men's from the officers' quarters. 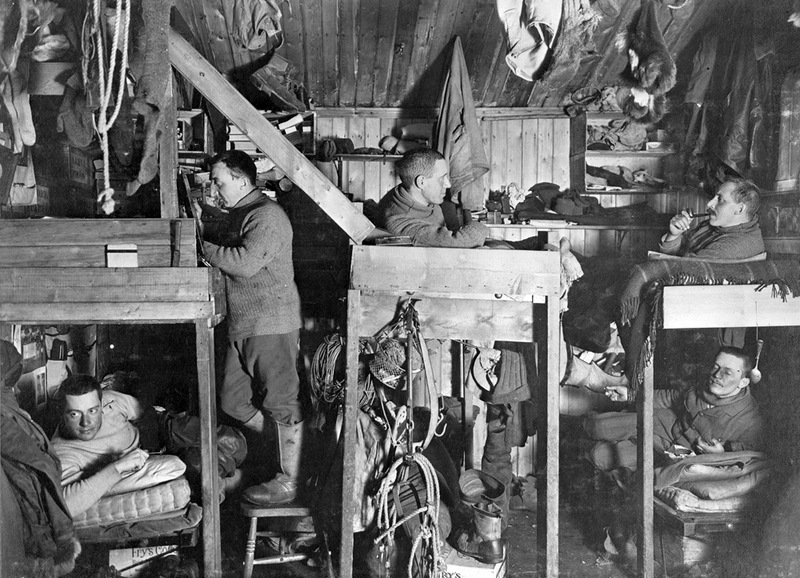 Within two weeks the hut was built and occupied. "He (Scott) cried more easily than any man I have ever known. 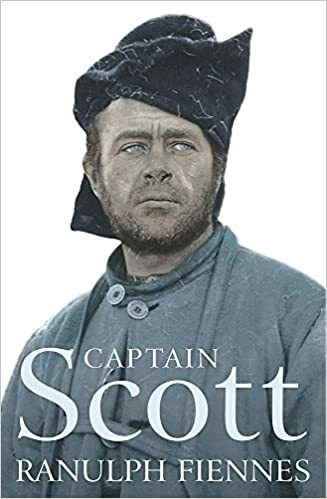 What pulled Scott through was character, sheer good grain which ran over and under and through his weaker self and clamped it all together." Apsley Cherry-Garrard. From the Introduction to The Worst Journey in the World. Like the Discovery expedition, again the centrepiece of the expedition was to be to reach the South Pole, and again this was but one of several projects and exploratory trips from the base camp. Depot laying parties set out shortly after arrival to leave stores and provisions. Doubts set in early on about the usefulness of the ponies, as they had problems with sinking into soft snow. 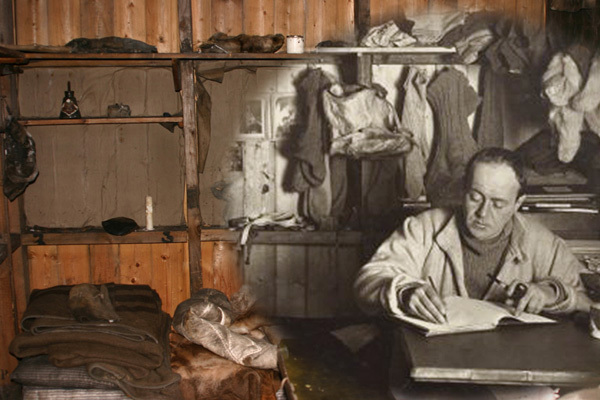 It was only after arriving at their winter camp and erecting the hut that Scott found out that the Norwegian Roald Amundsen had arrived at the Bay of Whales, some 400 miles away and 70 miles further south, he too was planning to reach the South Pole the following summer. Amundsen had more dogs and better trained dogs, what was more, he and his men were experienced in using them efficiently. 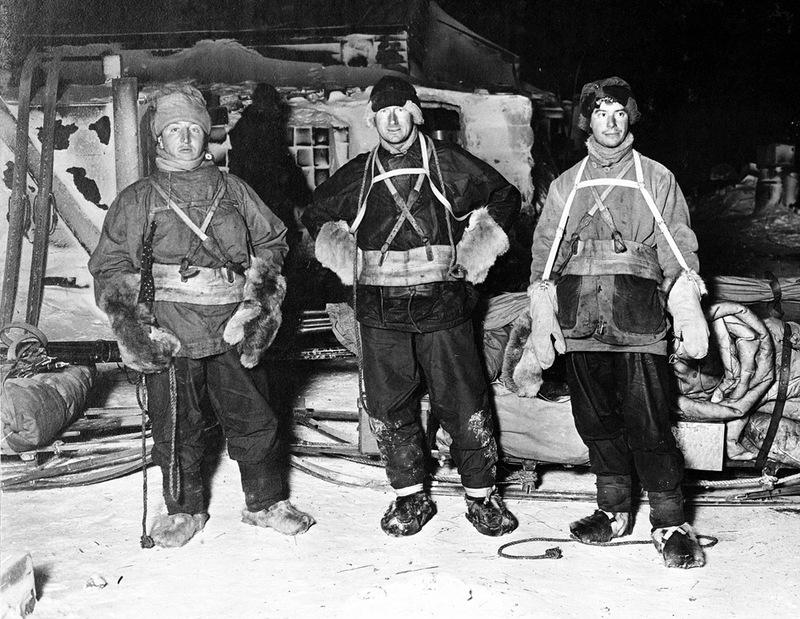 Many of Scott's party were unhappy at the arrival of Amundsen, his arrival was thought to be an unsporting and previously unannounced attempt at beating Scott and his team to the pole. The ponies continued to fare badly, two were lost in the sea when they broke through ice. When they were unable to be retrieved, they fell victim to killer whales. Before the sun went down for the winter, only 10 ponies were left out of an original 19. One sledging journey was undertaken in the winter by a small team of men led by Wilson the biologist and including the young Apsley Cherry-Garrard. Famously this gave rise to the acknowledged greatest of all Antarctic adventure and travel books "The Worst Journey in the World". This was a trip to Cape Crozier in search of eggs from Emperor penguins that were known to lay and incubate their eggs in the Antarctic winter though none had ever been returned intact to science. Indeed they had only first been discovered a few years beforehand. The winter was a very active time for the expedition and a large quantity of scientific data never before collected was able to be gathered. Though Scott spent much time engaged in science his thoughts were inevitably also always on the attempt to reach the pole to be carried out when the weather allowed after the sun had returned. Dr. E. A. Wilson known as "Uncle Bill", chief scientist and doctor of the expedition. Captain L. E. G. Oates, a career soldier and in charge of the Siberian ponies. Petty officer Edgar "Taff" Evans the strongman of the party, in charge of sledging equipment. At the last minute, just before the pole party left the last of the men who would turn back to Hut Point rather than continue to the Pole, Scott chose an extra man to be a part of the polar party. Lieutenant Henry "Birdie" Bowers originally a storekeeper on the ship, but proved himself to be far more capable. "I don't know what to think of Amundsen's chances. If he gets to the Pole it must be before we do, as he is bound to travel fast with dogs, and pretty certain to start early. On this account I decided at a very early date to act exactly as I should have done had he not existed. Any attempt to race must have wrecked my plan, besides which it doesn't appear the sort of thing one is out for...You can rely on my not saying or doing anything foolish, only I'm afraid you must be prepared for finding our venture much belittled. After all, it is the work that counts, not the applause that follows"
Letter from Scott to his wife Kathleen.